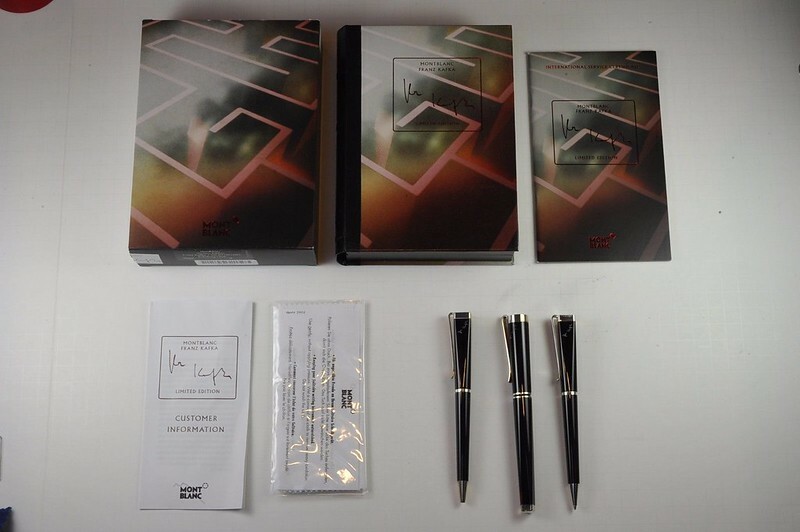 I have for sale a Montblanc Franz Kafka 3 Piece Set. 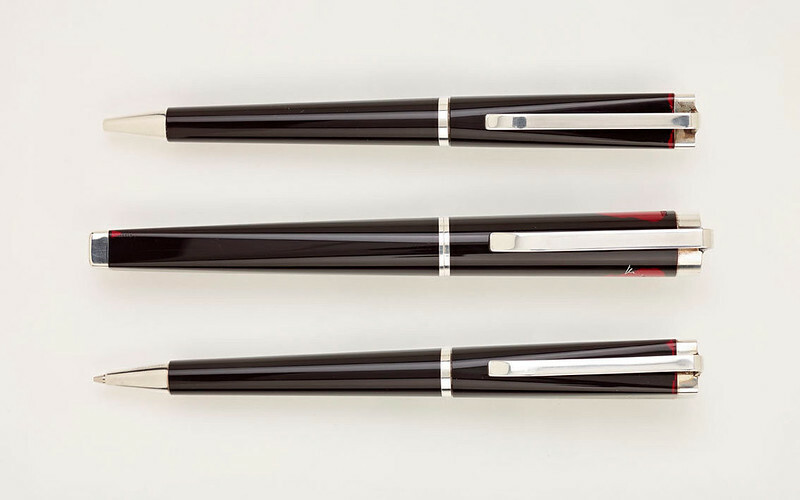 Never used, inked, or dipped. I am making some financial room for some recent acquisitions. This set is really lovely! 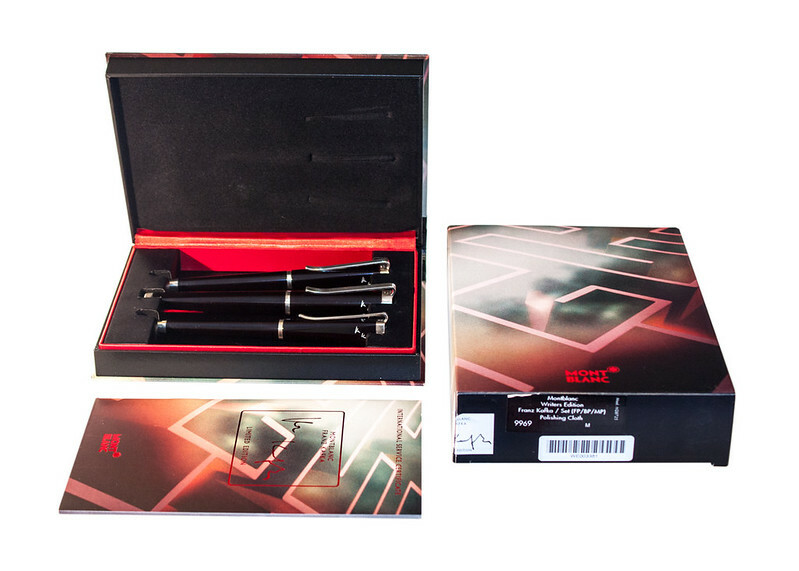 Comes with the outer box and inner book box and papers. I love the nib on this one. The trim is sterling silver so any tarnish is normal and easily removed. The translucence of the resin is stunning! Nib size is a medium. Please review the photos and if you have any questions just ask and I will get right back to you. Price is $1665.00 shipped and insured globally. Offers will be considered. 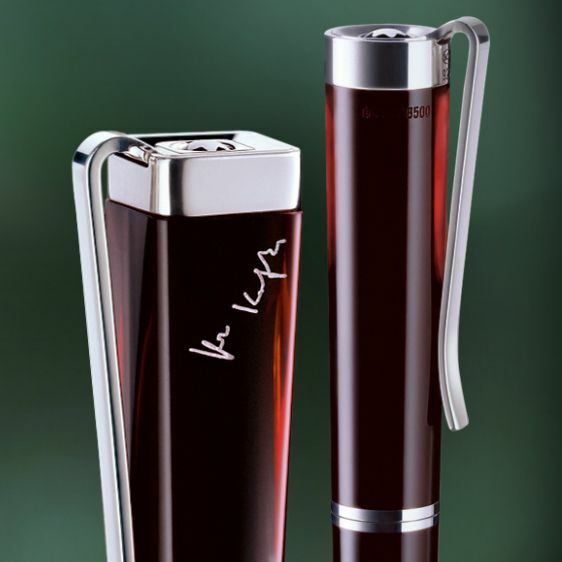 Top, clip and rings made of 925 sterling silver offer a thrilling contrast to the dark red translucent aura of the barrel. A further reference to "The Metamorphosis" is on the rhodium-plated 18-carat gold nib: a finely engraved cockroach. 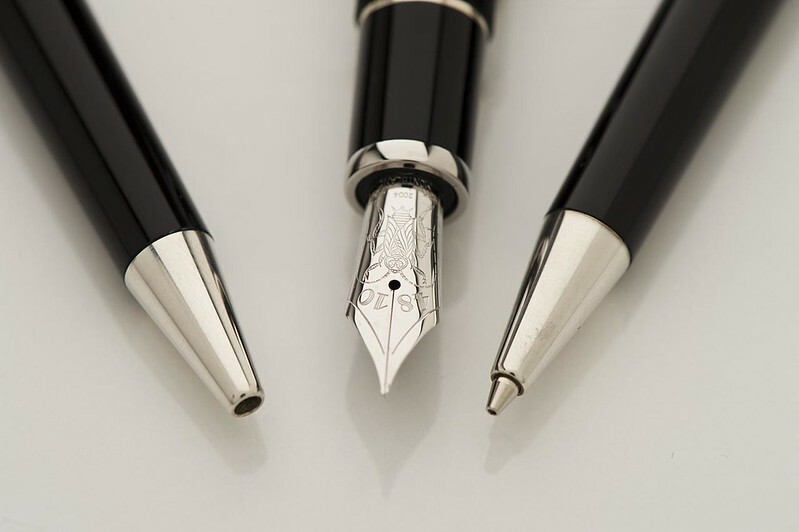 Launched in 2004, the Montblanc Franz Kafka series is limited to 14,000 fountain pens, 12,000 ballpoint pens and 4,500 sets, including a medium point fountain pen, ballpoint pen and a mechanical pencil. First $1500.00 will take it. This one is going, going.... gone...... hurry!